Joseph Henry Gormley, 72, of North Attleboro and East Falmouth died March 29 at the Maples Rehabilitation and Nursing Center in Wrentham. Richard E. McKenna, 69, passed away unexpectedly in South Carolina on Feb. 4, 2018. He was the son of the late Robert and Ruth McKenna. Mary Anne (White) Brooks, 92, of Sandwich died April 2 at Cape Heritage in Sandwich. James E. Feeney, 85, of East Falmouth and Gulfport, Florida, died March 31 from multiple myeloma. Thornton E. Tobey of Fairhaven died April 3 at home. He was 83. Hugh E. Dillon, 91, of Teaticket died April 1 in Fairfield, Maine. He was 91. Lisa A. Birrittieri, 53, of Mashpee died April 1, following a nearly four-year battle with pancreatic cancer. 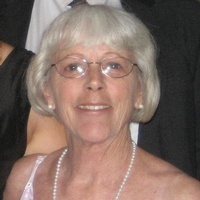 Mary Lou Helena (Burke) DePalma, a 44-year resident of Mashpee, died unexpectedly April 1. She was 68. Leslie O. Hill, 88, of Falmouth died April 2 at JML Care Center in Falmouth. Allen S. Parsons of Falmouth, 50, died on March 27. George D. Sylvia, 94, a lifelong resident of Teaticket and a former Falmouth firefighter, died on April 4 at the JML Care Center. Bradford – Leonard E. Comeau, 69, husband of Cynthia L. (Shaw) Comeau, pass away April 4, 2018 at Holy Family Hospital in Methuen surrounded by his loving family. Born in Haverhill, he was the son of the late Raymond L.